What can accounting and finance teach project and program management? Nearly two decades ago I took one accounting paper and did just enough studying to pass it. I was studying for an IT degree at the time and only did the paper as it was a compulsory one. Wheels have now turned enough for me to come back to doing an MBA and by coincidence, starting back with accounting as my first paper. Today though my attitude is different. I can see use of quite a few accounting principles in managing projects, programs and portfolios – be it the IT domain or any other. Neither of the two main project management bodies have very similar definitions of project. an investment that increases the wealth of the owners. You can define the terms owner and wealth to what is appropriate in your context. But this definition is the most focused one that I have found anywhere. If anyone was unclear as to the outcome they should be delivering, this leaves no room for doubt. Is this project/program worth investing in? Business cases for projects contain all manner of justifications. 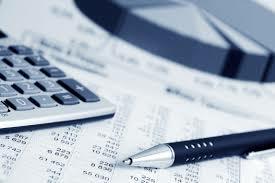 Accounting and finance provide the mechanisms for relative comparison. Whether justification is based on additional cashflows, reduced expenditure, or increased efficiency accounting provides mechanisms to objectively compare them. Key strength of accounting is it takes into account the time value of money too. A dollar earned today is much more valuable than a dollar earned sometime in future. The concept of Net Present Value (NPV) provides a way to compare cashflows that are invaluable tools for such comparison. Accounting also has very clear formulas to calculate break even points given different amounts of fixed and variable costs. Many business cases fail to address these fundamentals. It should be mandatory for those involved in preparing and evaluating business cases to have understanding of these concepts. Accounting is full of metrics. Whether you are measuring efficiency, turnover, income, cash conversion cycle (how long before you lay money out for raw materials to when you get paid for it), what a share or bond should be worth etc. The closest project management comes in a traditional sense is earned value management (EVM) and more recently the burn down charts in some of the agile practices. Some service management organizations are better at it. They do measure mean time to failure and restore among other operational metrics. Singular focus on analysis and improvement on these is something project management can learn from. I have seen and prepared all manner of project reports. If I don’t see another Red Amber Green report, I don’t think my life will miss much. While these reports are useful in getting our eyes focus on likely areas of problems they are pretty useless in contextualizing what the problem is. This is where accounting leads just about any profession. Generally accepted accounting principles (GAAP) mandates interpretations of exactly how reporting is undertaken. I am somewhat generalizing to make a point about standardization of reporting. What parallels with other professions can you see? PMBOK or PRINCE … which one is better? How do I influence to get the desired behaviour? where did you find the accounting definition of a project? The definition is a derived one from the term capital investment, which in PM language is a project/program of work. My ideas are formed from Atril & McLaney (Accounting and finance for non specialists) and Brealey, Myers & Marcus (Fundamentals of Corprate finance). Hi Shoaib. I think of project management as a change control tool – like a verb that can be applied to any noun. To define context you obviously need to have the noun. The problem here is that we still do not have a common structure for defining the “noun”. Often the structure gets lost in the specifics of thing that is being changed – the industry specific process, the industry specific technology, the org structure etc.I have been looking at this for years and I know you have touched on this in other articles you have written), and I think the the best generic, re-usable and universally applicable structure is the “Service” in the ITIL sense. I see a service as the product, continously delivered using evolving process, people and tecnology, defined in terms that the consumer can understand. While it is still very rare in IT, if you can measure financials at a service level, then measuring the impact of the change/project would be a lot easier. What do you think? Hadn’t thought it in those terms, but a interesting perspective.